A cold spring in the Great Plains continues to slow down Ruby-throat hummingbird migration this spring. 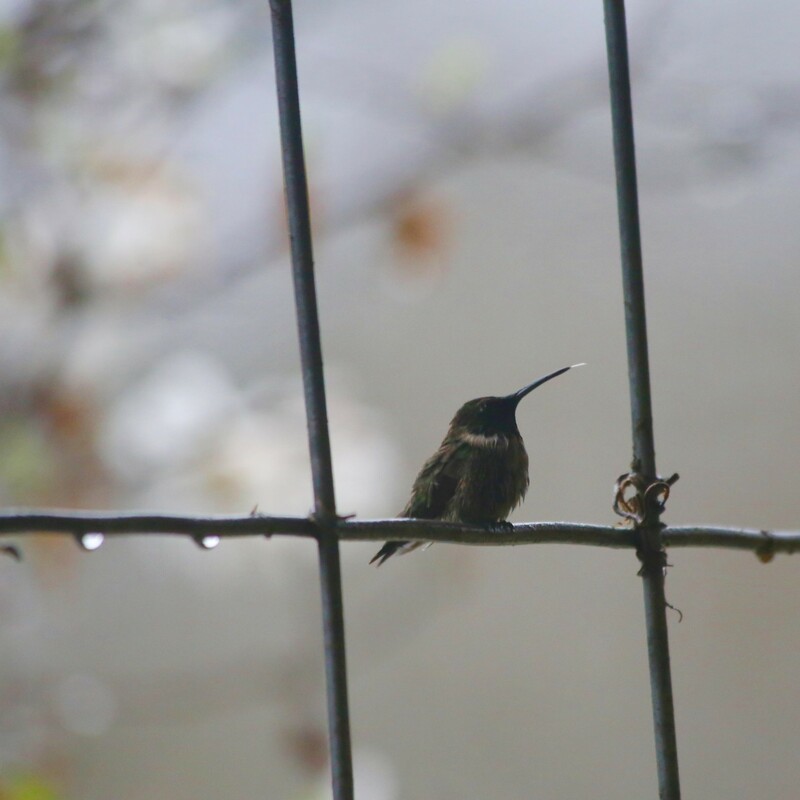 “In the midst of a strong weather front moving through, a male Ruby-throat came in under the porch for a drink at my feeder and some time out of the heavy rain.” Alderson, West Virginia on April 15th. It’s been another week of stop and go migration. Arctic weather continues to come down from the north keeping the Plains and eastern half of the continent at well-below-average temperature. These conditions are holding back the surge of Ruby-throats that we often see this time of spring. “This is the latest the Ruby-throats have shown up in the past 7 years, but it has been so cold.” Macks Creek, Missouri on April 17th. “It’s 34º outside and I just happened to look toward the window and there she was! I hope she stays warm tonight!” Inola, Oklahoma on April 15th. “First sighting here in 2018, but sugar water has been disappearing. I attributed it to evaporation due to high winds. Was 27º at 7:00 AM!” Bowie, Maryland on April 18th. “First hummingbird of the year! Waiting on the orioles now.” Grandview, Missouri on April 18th. Orioles often migrate on the tails of the Ruby-throated hummingbirds. Be ready to attract them with your oranges and jelly. The Southwest has seen warmer temperatures and Broad-tailed hummingbirds were reported arriving in large numbers in Colorado this week. “Our first male Rufous of the season. So glad to see them again. About 3 days earlier than last year.” Juneau Alaska on April 14th. “First male Broad-tailed of the season in the yard today. The boys are back in town early.” Fort Collins, Colorado on April 16th.